I was trying to get an auto warranty 'cause after so many years, I wanted something to keep my vehicle up. I saw CarShield's commercial on TV and the warranty seemed good. However, I didn't know about the price until I called them. Their rep was good and he went all way with everything such as the procedure with it. He told me about the plan and worked one out for me as well as got the payment down low so I could afford to get it. When I filed a claim, I used my own mechanic. He called and talked to CarShield over the phone and they settled everything. The customer service department are very helpful and understanding. Very pleased with the quality of care they give in meeting the customers needs. I would recommend CarShield to others. I appreciate the time they took to work with me on monthly payments and to ease any doubts I had about the company being a scam. I just blew my engine and CarShield paid for it. They were quick on the ball and things happened immediately. Their certified vehicle protection specialist explained all the benefits and then they worked with the mechanic. Unfortunately, my car got broken into at the mechanic's and he said he didn't have insurance to pay for that. Still, that wasn't CarShield's fault. I understand my warranty will continue until the time it was originally going to run out and I'm very happy with Carshield. I had filed a claim with CarShield and this was handled by my dealer Northwest Chevrolet. The amount of coverage on that particular claim was a little over $1,000. It was taken care of very good. I'm very satisfied, overall. I have a very nice experience with CarShield. I've been dealing with them for years and I like them. I went to pick up my car from the dealership where we had it fixed and they said I owed $1400. I went in expecting to pay nothing. At that time, there was some confusion because some checks were sent to us instead of the dealership. We cashed the checks and that created some problems. I had to pay and so that night, I called my insurance company and they started dealing with it. It took just a couple of weeks and it got taken care of. Between what my car insurance and the service contract paid, I didn't end up paying very much. The service was good and despite the glitch on both ends, it turned out fine. I have received no calls or mailings from Carshield in the past two weeks, so they appear to have removed me from their contact list. I appreciate this. I purchased a new Subaru at the end of 2016, and in early 2017 I received a letter in the mail saying that my service warranty had not been activated. This seemed curious to me, since I remembered receiving something saying the opposite. I checked my important papers, and I indeed had a paper saying that an insurance company was backing my 96,000 mile/10 year warranty. Okay, so I had two forms that contradicted each other. I called the number listed on the recent mailing, and Carshield explained to me that an extended warranty was available, that it was additional to my current warranty. I asked for information, since it sounded potentially valuable. The man on the phone explained to me that it would provide eight years of additional coverage for a few thousand dollars. I told him that I just couldn't afford that right now, and he went on as if to explain a way to make it work regardless of the cost. But then he mentioned how much the down payment would have to be, and I said that it was too much. I thanked him for his time and said I wasn't interested. At this point he began to badger me with, "Well, you want to own the car long term, right?" and "What if it breaks down?" I had already said that I couldn't afford the service he was offering, so this came off as extremely aggressive and downright rude. I thanked him again for his time and said firmly that I wasn't interested. As soon as he began the same aggressive line of questioning, I hung up. This was the first time I've hung up on a live person who I called, as opposed to having received a call from a telemarketer. A few weeks later I received a voice message from a man from Carshield saying they wanted to speak to me about the warranty for my vehicle. I blocked the number. A few days later a woman left a similar voice message. I deleted that as well. 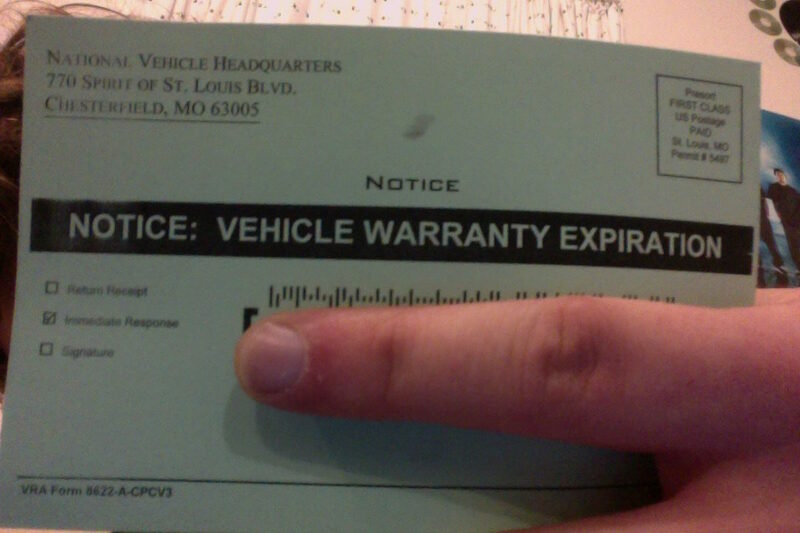 Just today I received a small form in my mailbox saying "NOTICE: VEHICLE WARRANTY EXPIRATION," indicated an "immediate response" was required, and that I needed to provide the VIN# and current mileage. My full name and a tracking number were already filled in. Thank you so much, Carshield, for harassing me with downright blatant lies and aggressive tactics. I have a very expensive car and it has a lot of very expensive electronics and other things on it. I had a very good experience with CarShield when I had to have something repaired on the car and they paid for it very easily. My car needed some electrical work on my door and my coverage made it very convenient to have it fixed. I even received a phone call from a representative to make sure everything was taken care of and that the work was done right. Thanks for all of your support. My original auto warranty didn't cover anything and I had to pay $650 out of pocket. I went on Google and just typed in auto warranty and CarShield was one of the first ones that came up. I got their auto warranty. It's affordable and I've liked it ever since. It's $150 a month and my deductible is only $100. I've already filed two claims with them and it was easy on my part 'cause I don't have to call them myself except the first time. On my first claim, I called them to have the car towed and to see how much that was covered but the second time, it was the dealership who called them. My car was showing that my coolant was low and adding coolant only lasted a day or so. Took car in to be checked and found the water pump was not working properly. My mechanic called into CarShield and the repair was handled expeditiously. My family was getting ready to move from GA to CA and our VW CCs fuel pump went out. Our claim was paid in one business day and we were ready to go. The next month her water and coolant system had a leak in it. This claim was paid in a reasonable amount of time. 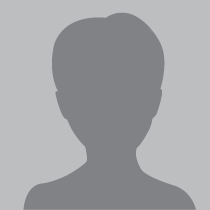 I am very happy with the service that I received from CarShield. The agent was very courteous and friendly. I recommend this service to all my co-workers, friends and family. It is a very good peace of mind and security. I also like the fact that this coverage is transferable to another car if you should trade in your current car. Excellent customer service in the sale area. I have not had the need to utilize the service plan on my Silverado Duramax LTZ but I only hope that any and all claims go as well as the purchase and as seamlessly with complete "no hassle coverage" as was promised at point of sale. CarShield was pushy signing me up, but I’m happy that I have the service. And they did a good job at explaining everything. Their customer service is also good. Whenever I call them up, I end up getting through to a mechanic. It sounds like they’re in a garage and then he would just tell me, “Have your mechanic call me.” And then they take care of everything. I’ve used their services twice. I paid close to three grand total for the warranty. And they’ve already paid out over $2,000 worth of stuff in less than two years. The first time, I had a problem with my transmission. I had it towed to a shop and they fixed it. It was very quick and I had my car back within the week. The second time, which was recently, the electronic part, was also done very quickly. I brought my car to the shop on my own. The guy diagnosed the problem and he called them up. The service of CarShield is really excellent. I’d recommend them to other people. Window Motors - This isn't the first time I've had to use the warranty and I'm sure it won't be my last. The service was prompt and thorough. After ordering the part I needed, it only took a day for the work to be completed. I originally had an extended coverage when I bought my vehicle. I thought it would be a good thing to have and I did a second one. I was comfortable with CarShield so I renewed with them. The representative was very informative and comfortable. I had one repair but the mechanic talked with them and the process was pretty painless. I was appreciative of them covering everything for me and it was peace of mind. I would recommend them. It's nice to know there are businesses out there that own up to their contracts as written!! I would Definitely use this company in the future with any new car purchase!! One Never knows if and or when you will need the services you've paid for, just like any other insurance policy that we all already have. Peace of mind is how I would describe knowing I have purchased this Insurance!! My experience with CarShield was what I thought it would be when I purchase the plan from the beginning. I would recommend it to anybody who is looking to extend the life of your car and your peace of mind. After dealership got done changing parts at my cost of $1,291.40, CarShield sent rep to dealership confirming actual issue and getting my Vehicle back on the road. Both torque converter and transmission were replace and the six month annoying noise was gone. Thanks Carshield??? I have a five year auto insurance from CarShield and I just wish it was longer. I've got less than 20,000 miles to go but still have two years left on it. I'm going to hit the miles before the contract is done. My claims are submitted by the dealership. I never got a hassle on anything and they never asked for any documentation. Claiming with CarShield is very easy. I filed my second claim because my horn wouldn't stop blowing. They had to take the whole steering wheel apart and it was under warranty. The auto dealership just took my information and they handled everything. I didn't have to contact them and get pre-approval. That was a very smooth transition. I recommend them to my friends. One of my sons advised me not to buy an extra warranty, but then I never know when something is going to go wrong. I'm retired and I got a retirement check and social security. My car is a year old, and it can cause a lot of money to get it fixed, so I looked into getting a warranty. CarShield contacted me first, so I talked and went with them. The people at CarShield have been really good. I hadn't set up AutoPay. I usually get most of my bills through my email and I never received a bill. So, I missed the payment, and at the time, I didn't have the money. They worked with me to get caught up and then we set up for email notification. When they've contacted me, they've been really efficient, very cooperative and willing to work with me. CarShield is the extended auto warranty policy for our 2012 BMW. My warranty was ending then and BMW is an expensive car to fix, so I figured a warranty would probably be in my best interest. Recently I had some electrical and engine repairs done and everything went well. The claims process was all handled by the dealership. We are satisfied with them. Everything was fast and easy! Would def recommend this to everyone. The staff was very nice and helpful through everything. All I had to do was pay my deductible and even let me get a nice rental car for no cost to me! I am very happy with the service. My car ain't cheap and I never owned a Mercedes before so I decided to purchase an extended warranty. Having the policy is really valuable to me and so far, I am very satisfied with CarShield. They have covered me twice and I never had an issue. Our extended auto warranty was running out. We've used the 5 years/50,000 as my wife's got over 50,000 miles already though we're still covered for the 100,000 in the engine and frames. But we never know when we'd need a warranty. We take a lot of trips and I don't want a breakdown and have no way to get the car fixed. So I checked every company and the CarShield reps were very pleasant and helpful on the phone. And if I had a question, they had answers or would check and find out right away. That means a lot. Their customer service was very good so I assumed their business is gonna be very good. We got the full package at $100 deductible which isn't that bad as well. I had to wait until I had 1,000 miles before the coverage started working which bothered me a bit but that's alright. CarShield was all better on some of the services. Nobody except CarShield wanted to cover the electronics. That's very important. She has the radio and the navigation system, which she uses a lot, as one unit. That's $3,000/$4,000, so their coverage helps a lot. Then the CarShield coverage also included roadside assistance unlike with a lot of the other companies wherein I had to pay extra. I was impressed with what CarShield explained to me when I was looking for an extended warranty so I said I'd give it a try. Since I bought a used car, I wanted it repaired at little or no cost. CarShield offered me the Gold Plan and I was very happy with it because it was on time when I had to use it. My dealership was impressed with them. My starter went out and I was looking at buying a new one and have someone put it on and then it hit me that I had an extended warranty, so I called CarShield and I told them I needed the car towed. They said they would take care of it, and then they gave me a number to call. They had my car picked up where I wanted and got it repaired in less than a day. They called and told me the car was ready, I then paid my deductible and picked up the car. That was the best process that I've made since owning a car.